If you have a centipede problem in your home, such as in your basement, garage or even your main living space, you are probably aware that chemical insecticides are an option to get rid of them. These poisons will effectively kill the centipedes. However, they can also harm your family, children, pets and the environment. Instead, there are safer, more natural options available that are effective at getting rid of centipedes. A centipede does not carry any diseases that affect humans. Take firewood, stone piles and compost heaps far away from your home. Centipedes are attracted to them. Never keep these items in your home. Add gravel around your home's foundation, particularly if you have a flower bed or other soiled area around your home. Turn the mulch in your flower beds and other landscaped areas to let the lower layers dry out. Wet mulch will attract more centipedes around your home. 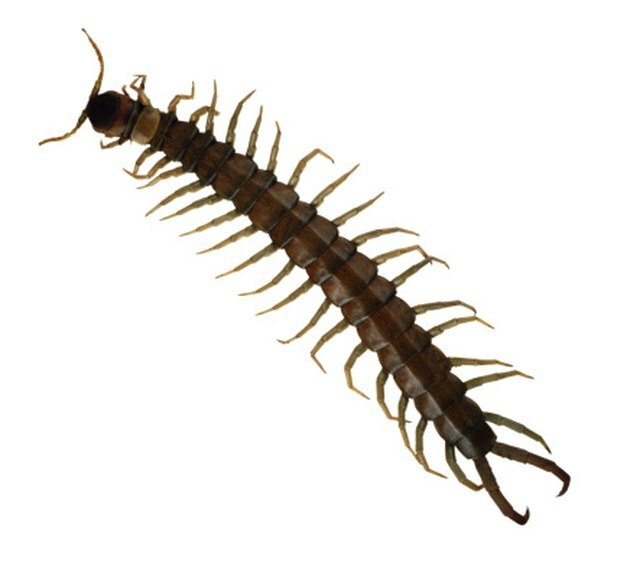 Seal off window and door frames or other crevices around your home that could allow easy entrance for centipedes. Spray around your home with a natural insecticide product, or plant-derived insecticide. These products have active ingredients like citrus extract or oil, including clove, thyme, rosemary or sesame oil, and can effectively get rid of centipedes.